In Spider-Man: Homecoming, we find out that Peter Parker is given the gift of a lifetime when Tony Stark makes him an advanced suit, complete with AI and several hidden features. Then, at the end of the film, Stark dangles an even more advanced suit in front of him, with the stipulation he be announced as the newest member of the Avengers. Thanks to the ArtofVFX, we now have our best look at this new suit, which looks like a cross between Iron Man's armor and Spidey's suit from Homecoming. 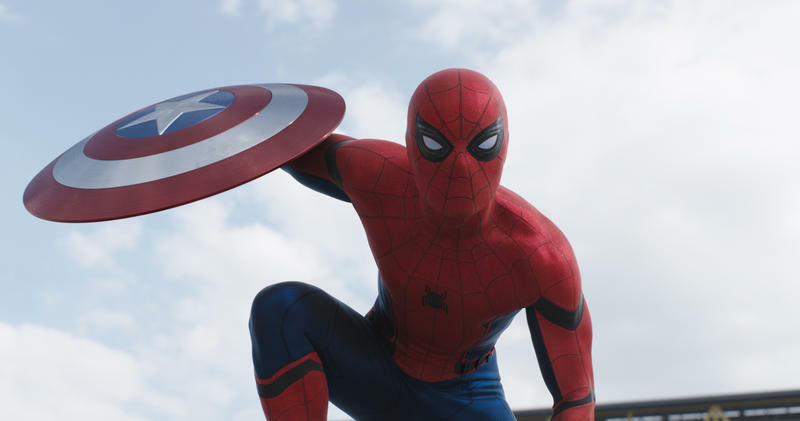 What's notable about the new suit is how drastically different it looks from what Spidey wore in Homecoming. Instead of the original's simple blue and red motif, this new one features darker hues, a more pronounced spider logo, and gold trim. You can get a really good sense of how they compare, at least superficially, in the gallery below. Now that I see the armor again, I love it even more. Although Parker rebuffed Stark's offer to become a member of the Avengers, we do know that he'll wear the new suit in Avengers: Infinity War. At least, that's what the movie's poster suggests. What new functions the suit will offer remains to be seen. It's pretty clear it's the Marvel Cinematic Universe's version of the Iron Spider suit, which in the comics granted Spider-Man advanced capabilities and power. Lucky for us, we'll get to see in action when Avengers: Infinity War hits theaters on May 4, 2018.